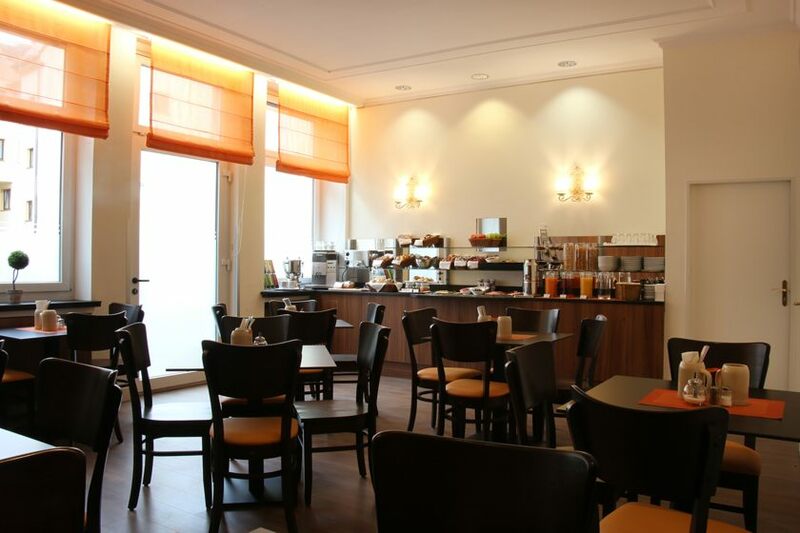 Munich charm and warmth, central and nevertheless tranquil – feel right at home at the Andi Stadthotel! 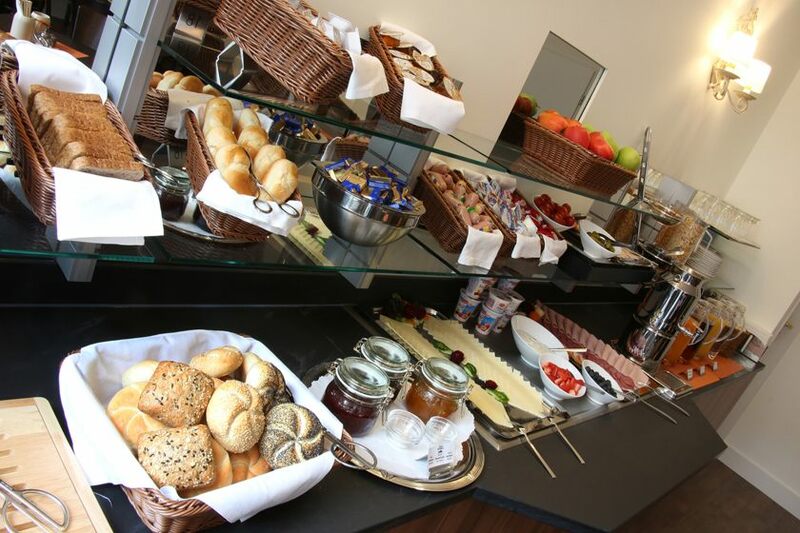 Our 3-star hotel in Munich is located in the Ludwigsvorstadt and is a charming oasis of well-being. Enjoy the small but exclusive getaway from the hustle and bustle and the proximity to the most important places and squares. 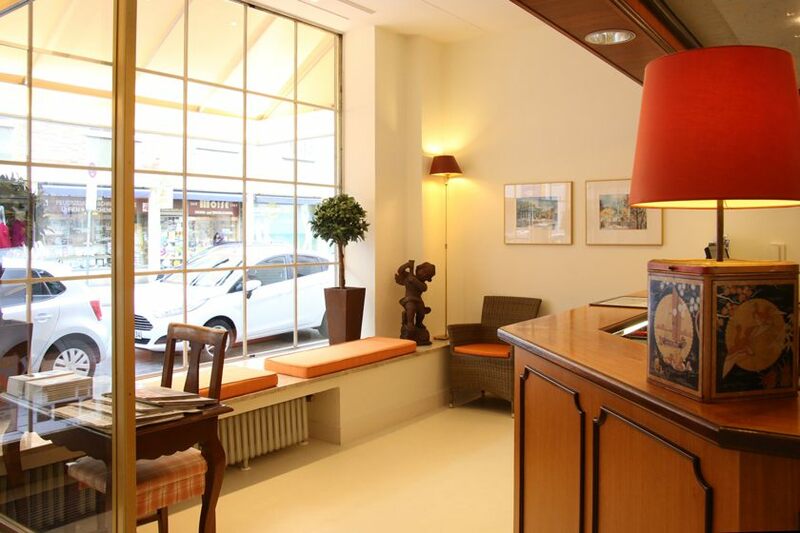 Our cordial, family-run hotel near the central station in Munich is therefore the perfect starting point for excursions, family trips, cultural tours and city holidays. Check in from 2 p.m. Check out until 11 a.m. We also speak Thai, Turkish, Croatian. Pets allowed (subject to charge). Next public transport stop: Hauptbahnhof (main train station) From the airport: From the airport take the S8 or S1 towards the city center. Get off at the stop "Hauptbahnhof", follow the signs "Schillerstrasse" or "Goethestrasse". Follow Schillerstrasse; the second crossroad is already Landwehrstrasse: turn right into Landwehrstrasse after 100 meters you will find the ANDI Stadthotel on the left side of the street. Follow Goethestrasse; the second crossroad is already Landwehrstrasse: turn left into Landwehrstrasse and you will find us after 300 meters on the right side. From the main train station (Hauptbahnhof München): only possible on foot or by taxi. Room size: approximately 22 m² Bed: box spring with two 90 x 200 cm mattresses Bathroom: WC, shower, hairdryer, cosmetic mirror, bathroom stool, separately adjustable heating in the bathroom Booking option: some rooms can accommodate 3 people (additional charge for third person) Amenities: Street or courtyard view, Flat-screen TV, Satellite TV, Trouser press, Telephone, Minibar, Free Wi-Fi in the rooms, Sound-proof windows, some rooms with blinds on the windows, Coffee & tea making facilities with kettle, smoking rooms upon request, some rooms come with a small sitting area. Family rooms Room size: two double rooms, separated by a connecting door sharing a common bathroom. Double room with bathroom 19 m²; second double room for children 15 m² Beds: 2 double bed (box spring) with two 90 x 200 cm mattresses Bathroom: WC, shower, hairdryer, cosmetic mirror, separately adjustable heating in the bathroom Booking option: max. 4 persons and 1 baby cot Amenities:Courtyard view, Flat-screen TV & phone in both rooms, Minibar & Coffee & tea making facilities with kettle in parents' room, Free Wi-Fi, Sound-proof windows, Blinds on the windows, Separate sink in the children's room. Room size: approximately 17 m² Bed: box spring with 90 x 200 cm mattress Bathroom: WC, shower, hairdryer, cosmetic mirror, bathroom stool, separately adjustable heating in the bathroom Booking option: max. 2 persons (additional charge for second person) in the hotel room in the centre of Munich Amenities: Street or courtyard view, Flat-screen TV, Satellite TV, Trouser press,Free Wi-Fi in the rooms, Sound-proof windows, Some rooms with blinds on the windows, Coffee & tea making facilities with kettle, Smoking rooms upon request. Room size: approximately 25 m² Beds: double bed (box spring) with two 90 x 200 cm mattresses and a single bed (box spring) with a 90 x 200 cm mattress Bathroom: WC, shower, hairdryer, cosmetic mirror, bathroom stool, separately adjustable heating in the bathroom Booking option: max. 4 people (additional charge for 4th person) Amenities: Courtyard view, Flat-screen TV, Satellite TV, Trouser press, Telephone, Minibar, Free Wi-Fi in the room, Soundproof windows, Coffee & tea making facilities with kettle, Smoking rooms upon request, Blinds on the windows.